Our brand new Ultima Plus is perfect for travelling in a trio. Ideal for two adults and a child, a third passenger seat is positioned directly behind the driver, so your child can be close to you while on the road. 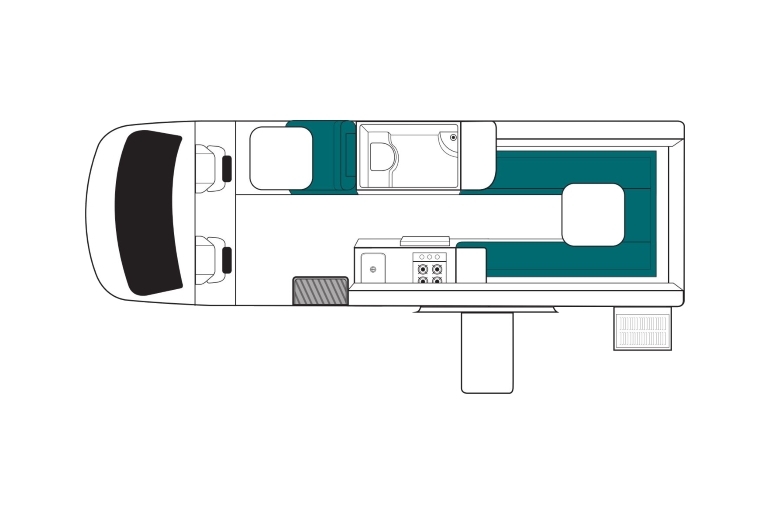 The maui Ultima Plus contains all the features we love about maui motorhomes, with room for one more! 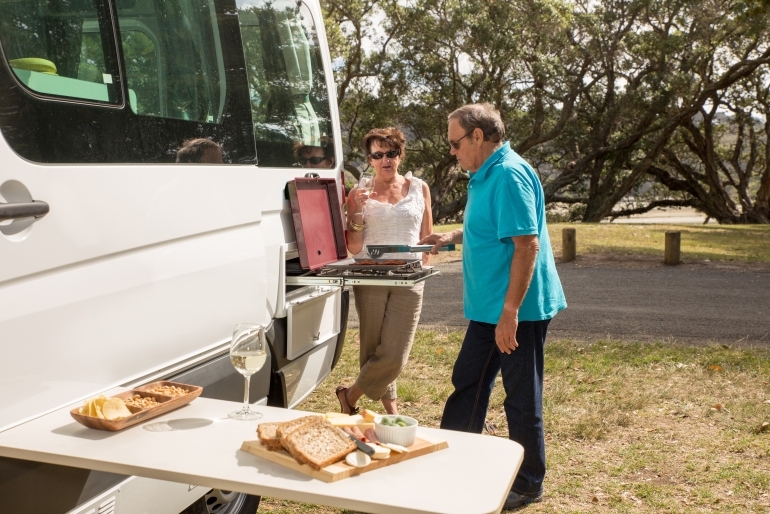 Complete with kitchen and bathroom facilities, the Ultima Plus also comes with an external slide out BBQ so you can reconnect with the great outdoors during mealtimes. 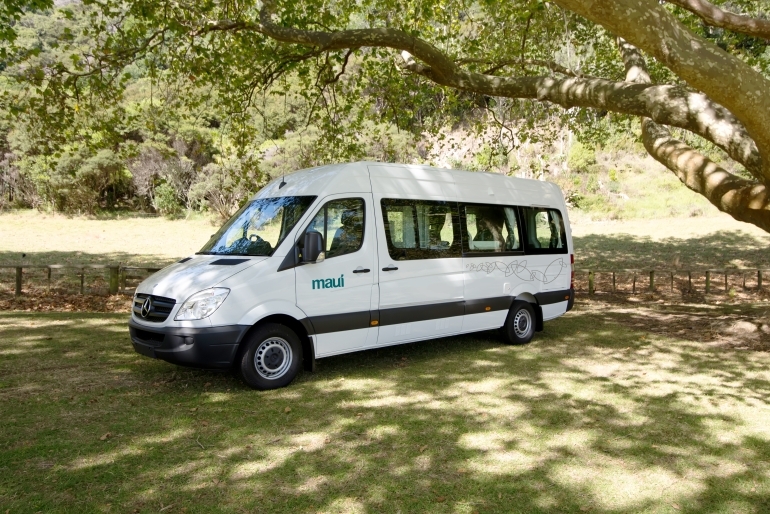 Alternatively stay inside and slide out the LCD screen & DVD Player to relax, and travel in comfort and style with your family. 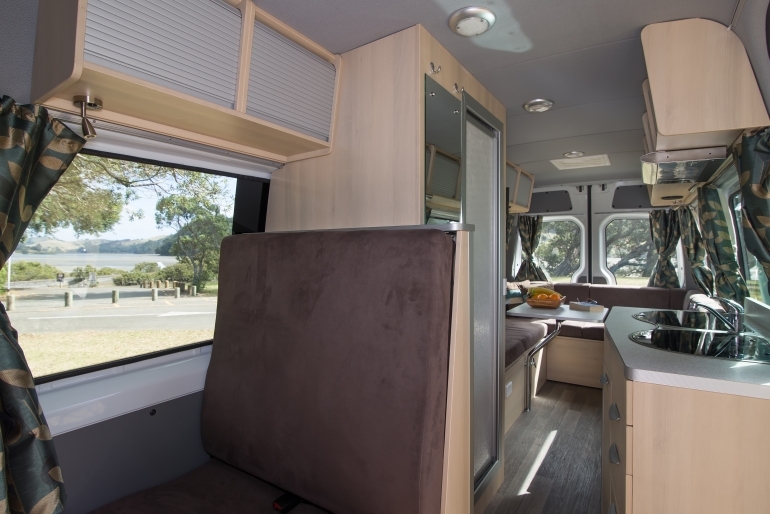 What sets the maui Ultima Plus campervan apart? Microwave - operates when connected to 240V mains power. This vehicle has positioning for one child restraint. A child seat (from birth until approximately four years) or booster seat (for children aged between four and seven years) can be fitted to the single forward facing seat in the rear. Child and Booster seats are an additional hire item. The above floorplans and specifications are indicative of the vehicle that will be supplied. Actual vehicles may vary according to year of manufacture and availability but your vehicle will be suitable for the required number of people and have similar specifications to those listed. Specifications may change without notice and cannot be requested. 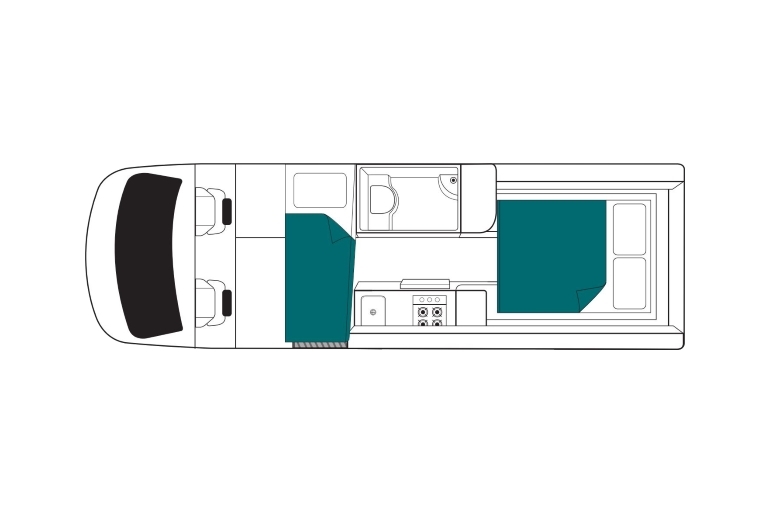 Rear cabin air conditioning, heating and microwave must be connected to 240V mains power to function.